Today is our wedding anniversary! I can’t believe I met Craig 21 years ago. I saw Craig at a wedding. I told my sister-in-law I wanted to dance with him. She said, “He is so shy, if you want to dance with him, you are going to have to ask him.” So I did! We danced all night, wished on a shooting star together and we’ve been best friends ever since! I think our love was written in the stars! Anyway, I wanted to make Craig a special anniversary dinner and I know he loves crab! 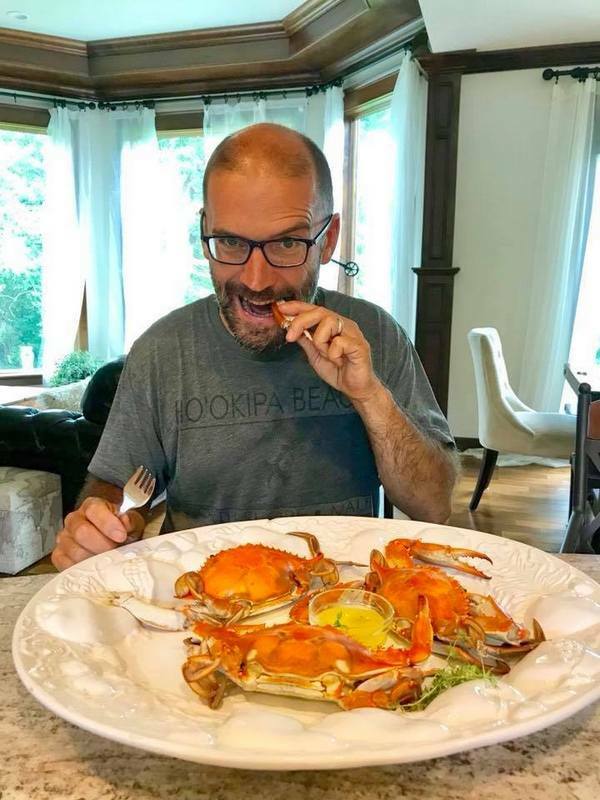 I love that Craig wanted crab because there is really nothing more simple yet delicious for an easy keto dinner! 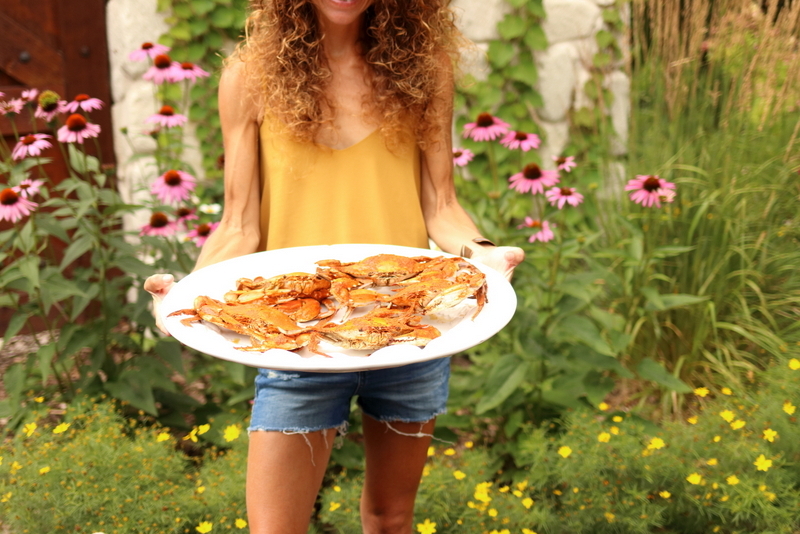 All you have to do is steam the crab for 5 minutes and they are done! 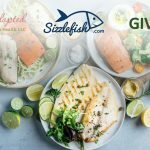 Cameron’s Seafood delivers wild caught seafood right to your door! But this seafood company is extra special! Their seafood is fresh, never frozen! They flash freeze it and OVERNIGHT your delivery so you get the best and freshest seafood. Eating crab without crab crackers and forks is very difficult, which we experienced ourselves when we first ordered Cameron’s crab. So I highly suggest getting a few crab crackers and forks if you do not already have them! Click HERE to find the ones I ordered. Cameron’s Seafood Delivery is so awesome! I asked them if they would do a discount for all of you and they gladly said yes! 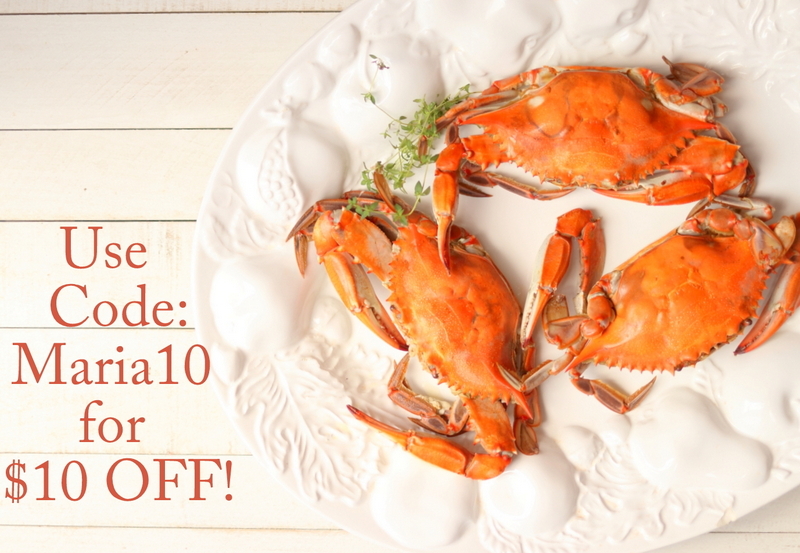 If you click HERE to order your fresh seafood, use code Maria10 to get $10 OFF your order! How cool is that? 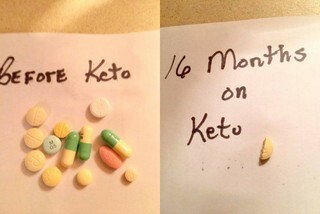 My goal is to get people off medications and feel the best they can! I absolutely love getting updates from clients like this! Rebecca was originally on 13 medications when she first started and after 16 months she is only on 1/2 of her blood pressure medication! Way to to Rebecca!!!! Some but I think they are cooked and might be breaded. New to Keto and just finished your book Keto. Thank you so much for simplifying the science and debunking the myths! 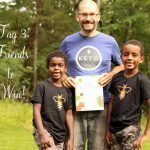 There are so many versions of Keto and bad advice out there and I appreciate your passion to spread truth! Happy Anniversary! Happy Anniversary and I hope that your crab celebration meal is delicious (I love crab but rarely get the chance to get it fresh where I live in the UK ). Please reassure me that Craig is only pretending to use his teeth to crack open the claw ! !